Polyclonal antibodies (or immunoglobulins) are potentially powerful tools in a wide range of biomedical and biochemical research, world over. Mammalian sources of these proteins have widespread in a variety of therapeutic applications pertaining to assessment, detection, and purification of specific proteins. Human immunoglobulin G (IgG) are used extensively in a spectrum of routine laboratory tests. Polyclonal IgG are increasingly used as labeling reagents in several immunoassay tests, such as enzyme-linked immunosorbent assay (ELISA), western blot tests, immunoradiometric assay (IRMA), and radioimmunoassays (RIA). Two of the key attributes stoking the popularity of these polyclonal antibodies are they are easy to produce and convenient to scale for industrial purpose. The drive for mammalian polyclonal IgG antibodies stems from the need for improved antibodies for a variety of therapeutic and analytical applications in industrial and research settings. The rising demand for immunoassay tests in worldwide populations is a key factor bolstering the demand for these antibodies as reagents. The extensive use of these antibodies in cancer, diabetes, autoimmune diseases, and metabolic diseases is a key factor boosting the market. Sizeable investments made by biotech companies in emerging and developed markets has also offered a big fillip to the demand for mammalian polyclonal IgG antibodies. Substantial advances made in production and purification of polyclonal antibody in recent years has led to the rapid evolution of the mammalian polyclonal IgG antibody. In recent years, polyclonal antibodies as identification and purification ligands have been instrumental in developing novel bioresearch and diagnostic techniques. 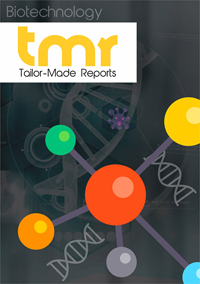 The rapid strides being made by diagnostic procedures in developing and developed countries is also fueling the expansion of the mammalian polyclonal IgG antibodies market. The growing adoption of these antibodies for diagnosis of B-cell lymphoma and leukemia is imparting robust momentum to the market. The uptake is also bolstered by the rising use of biomarkers with better accuracy and higher throughput in research and in the healthcare industries. The growing popularity of autoimmune biomarkers in cancer treatment in various parts of the world has been propelling the steady expansion of the market. The rising prevalence of diabetes and cardiovascular diseases is expected to reinforce the application of mammalian polyclonal IgG antibodies. In this regard, metabolic biomarkers are gathering steam among biotechnology and biopharmaceutical companies all over the world. The study offers detailed assessment of key regional trends and the underlying opportunities. Developed regions with robust appetite for cutting-edge immunoassay tests and novel diagnostic techniques are most likely to be potentially lucrative. In this regard, North America has emerged to a promising position supported by considerable investments being made in the production and purification of polyclonal antibodies. The regional growth is also supported by well-established healthcare infrastructure. Meanwhile, several biotechnology companies are shifting their focus on emerging avenues in developing economies, notably in Asia Pacific. This in recent years has gained large impetus from government support for research and development. The mammalian polyclonal IgG antibodies market is expected to witness a landscape dotted by several large-scale as well as small-scale players. Globally prominent players are leveraging the potential of their robust geographic presence and distribution chains in order to get stronghold in the global market. Several players are also likely to focus on expanding their operation facilities, in order to consolidate their footprints in the market. Some prominent names in the market are Cell Signaling Technology, Inc., F. Hoffman-La Roche, Merck KGaA, Thermo Fisher Scientific, Inc., and Bio-Rad Laboratories.